t's time to get serious about the performance of your 2017 - up FL. Power Duals is your ticket to style, quality and performance. More than just individual head pipes, Power Duals integrates and exclusive Vance & Hines Power Chamber hidden behind a contoured heat shield that generates more horsepower and torque than stock. 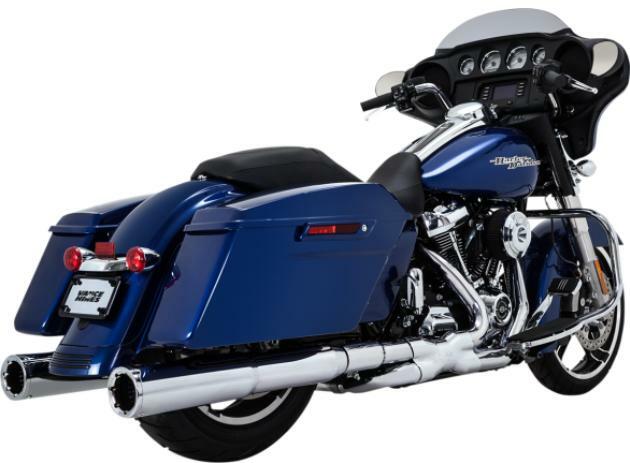 This new right side design eliminates the heat issues on the left side for the passenger, routing hot exhaust gases below the footpeg and protecting vital engine components and side covers from heat damage. Power Duals is fitted with oxygen sensor ports making it a seamless power upgrade from stock.